You start with a cardboard letter. 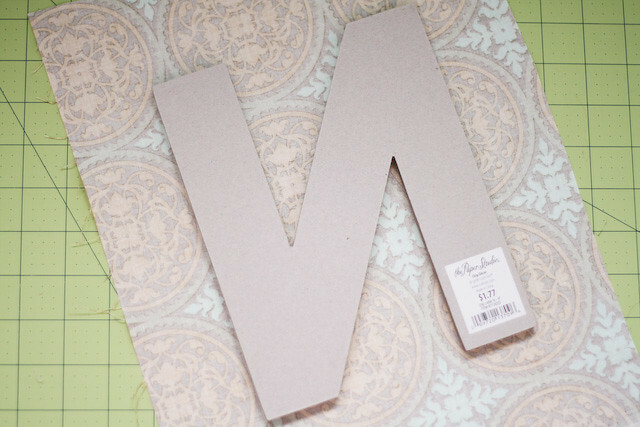 I got mine from Hobby Lobby for $1.77 a while back and it's just been hanging out in my craft closet, waiting for a project. 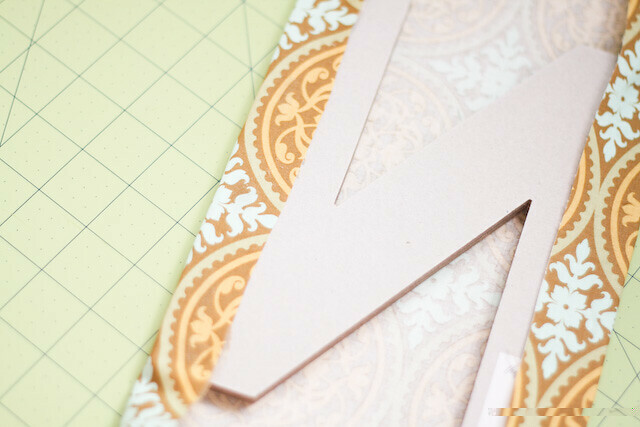 You also need a scrap of fabric that is a little larger than your letter. 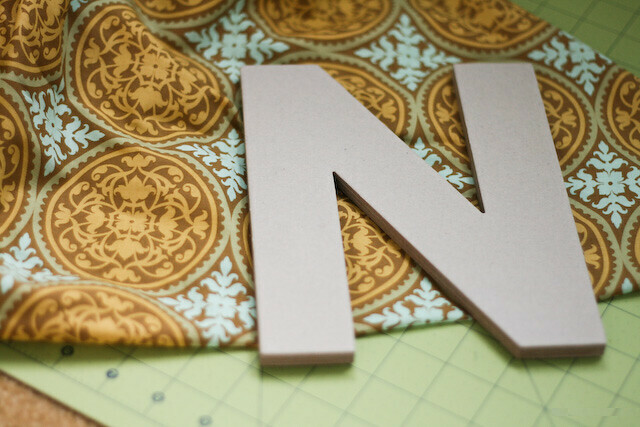 Cut your fabric so it's a couple inches larger than your letter on all sides. 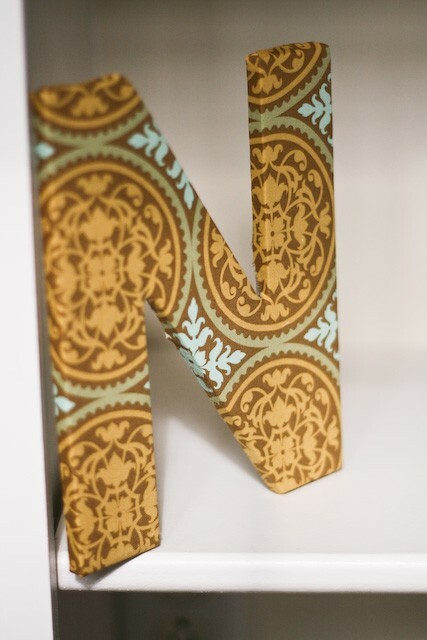 Then, with a hot glue gun, start wrapping the outside your letter in the fabric, gluing a little down at a time. 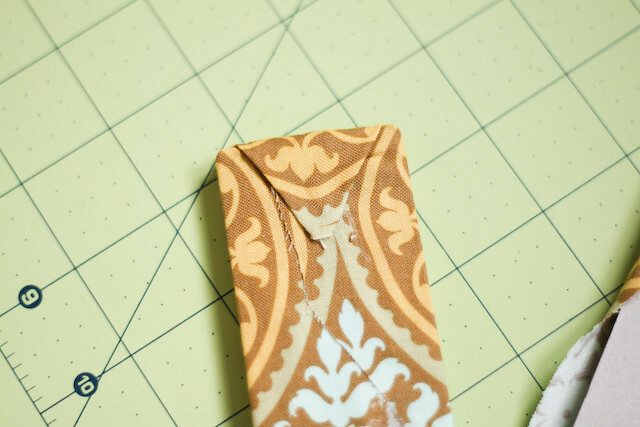 Then I just pulled each side tight and glued it in several places. I think to start out, it would be easiest to use letters without a lot of curves (if possible, of course!). 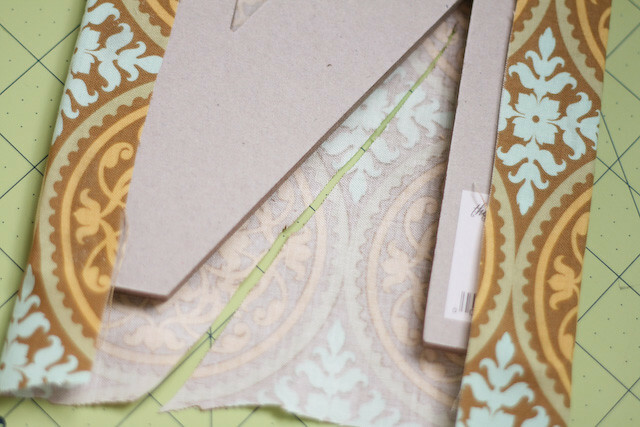 You could do so much with this little project, especially for a little kids' room or playroom. If you added the word "Imagine" or kids' names and hung them on the wall in different size letters with different fabrics... how cute would that be?! Very pretty! I love the fabric you used, too. 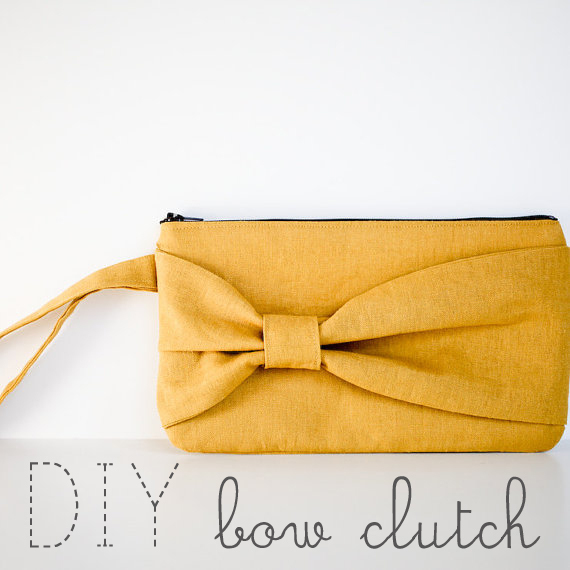 I decoupaged J-O-Y for Christmas last year, but I really like the look of fabric for this. I'll have to try it next time! this is so cute! I love looking at all your ideas because they are so much simpler than i would probably make them. cute cute! you are like martha stewart, but in a much more proverbs 31-ish way. :) love your blog! Do show us where you use it! :-) :-) very nice! 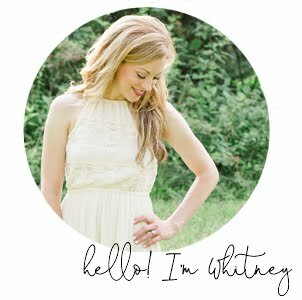 Whitney, I really like that fabric and would love to know where you got it. 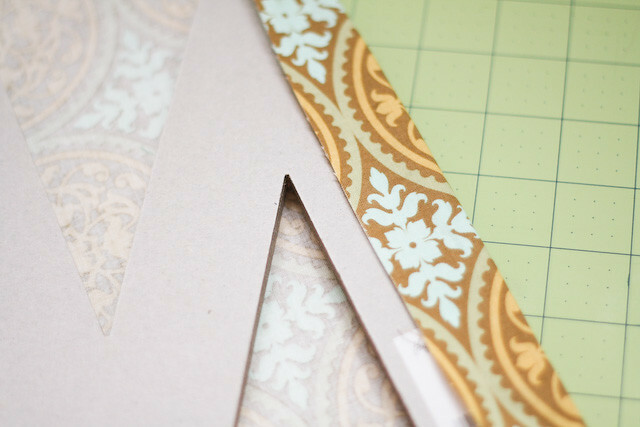 Also, I've done this exact same thing with scrap-book paper for simple but fun and personal (not to mention inexpensive) birthday gifts. It's a fantastic project. Very cute. I smiled when I read this because I had JUST made one of this, but with paper and Modpodge instead of fabric.